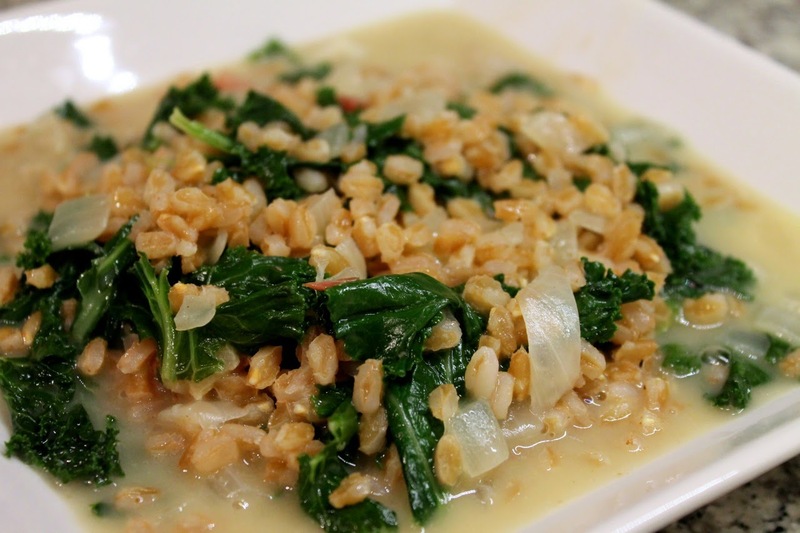 This is my recipe for Farro Risotto with Pancetta and Kale. For another take on farro, check out Ellie Krieger's article below. Washington Post: “The New Wave Is All About Building Your Meal from the Bottom Up,” by Lavanya Ramanathan. I have a few weekly habits, two of which are Chipotle and Sweetgreen, the king of fast casual and the more recent (and locally owned) purveyor of quality fast-casual salads. I also enjoy Merzi, Cava, District Taco and Shophouse, just a few more of the burgeoning fast-casual restaurant concept that has taken particularly well to D.C. Ramanathan writes that there are 85 Chipotle restaurants within 25 miles of D.C.—wow! In this article, she examines not just how fast-casual has taken root in D.C. but transformed what “fast food” means nationwide. Washington Post: “Nourish: A Farro Salad That’s Easy to Warm Up to,” by Ellie Krieger. For her second Nourish column, Krieger puts the ancient wheat grain farro in the spotlight, recommending it for its easy preparation and chewy texture, along with a recipe for Herbed Farro Salad With Walnuts, Feta and Spinach. Washington Post: “Sommelier Certification Has Become a Point of Contention,” by Dave McIntyre. So, a sommelier is not just someone in a restaurant who pours wine (that would more appropriately be called a “wine steward”), nor is it just a “wine expert,” a point made during a recent great discussion by the guys at My Poor Liver Podcast. Along similar lines, McIntyre, the Post’s wine columnist, takes a look at what the profession and the term “sommelier” means today. In my mind, it should be a combination of the two things mentioned above: someone trained in both wine knowledge and providing good service executing the two with the goal of facilitating a pleasurable dining experience. Fast Co. Design, “How Fake Is Food Styling?” by Shaunacy Ferro. In the age of Instagram, food styling has come a long way from painting unripe strawberries with lipstick to adopting a more “natural” look. Still, Ferro explains, photoshop makes it easier to make food look better in post-production, reducing the need for cosmetic augmentation during shooting. How styled are the photos on my site you might wonder? Everything you see is real food; I would never add anything weird or inedible just to make it look better. I do adjust the lighting of some photos, but mostly because the artificial light in my kitchen tends to make some things look yellower and paler than they really are. Huffington Post: “The Psychological Impact Of Diet Soda,” by Tom Jacobs. In case you haven’t noticed, diet soda, once favored by low-cal drinkers everywhere, has fallen significantly out of favor due to concerns about the health effects of artificial sweeteners. It’s also been reported recently that drinking diet soda doesn’t help you lose weight. Jacobs’ article explains why and it’s fascinating, with research suggesting that diet soda activates a craving, but then doesn’t satisfy it, causing us to then react differently to other sugary foods. CNN: “Don't Let Classic Restaurants Vanish,” by Kate Krader. Those who follow the New York restaurant scene know the city is unfortunately losing some great restaurants soon, including WD-50 and Union Square Café. Not because they aren’t good or even successful, but rather are being forced out due to massive rent increases, always a concern in economically tricky Manhattan. New York Times: “Cereals Begin to Lose Their Snap, Crackle and Pop,” by Stephanie Strom. Apparently I’m in the minority (or maybe a shrinking majority) because I still eat cereal for breakfast most days. Strom writes about how people, wary of cereal’s sugar content, are seeking other options like yogurt. Eater: “Eater Will Look Very Different in Seven Days,” by Amanda Kludt. Eater, especially its DC version, has become one of my favorite food websites (I get some of the stories I share in The Feed from their daily roundups of food stories; since the New York Times dropped this feature, I really appreciate that another publication makes a great daily list). So I’m curious how the site is going to revamp itself next week. Stay tuned!